The first sketches of what is designed to be a more universally appealing aerokit for IndyCar in 2018 have been released. The drawings were released at the North American Auto Show in Detroit as IndyCar struck a fresh multi-year agreement with Dallara. IndyCar is expected to soon unveil plans for new bodywork giving the Dallara IR-12 chassis a fresher and cleaner appearance for the 2018 season. Standard bodywork across the grid for next season will put an end to the contentious era of Chevrolet and Honda developing their own specific aero kits. “Dallara has been an instrumental partner to IndyCar and we look forward to having them continue in this important role,” IndyCar president Jay Frye said. 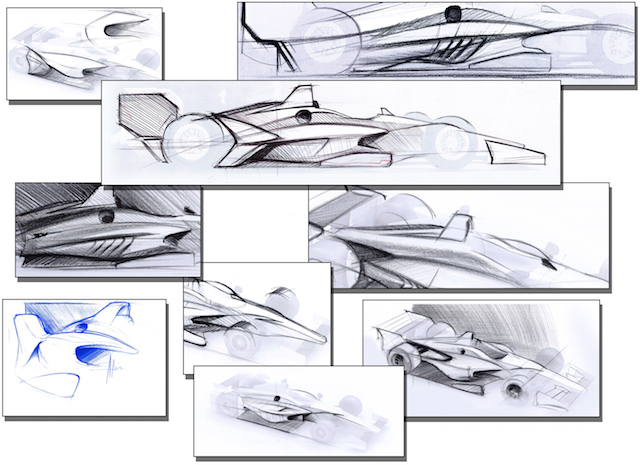 The drawings were completed months ago and give the first concept designs that will cover the Dallara IR-12 chassis. 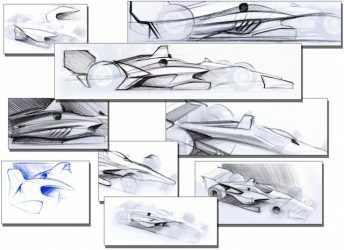 IndyCar stresses however that the sketches are in no way what the final look of the cars will be but rather they provided the first public indication of how the process is taking shape. 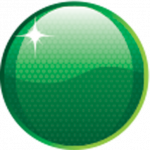 More details of the design and development process will be made at the pre-season open test at Phoenix from February 10-11.